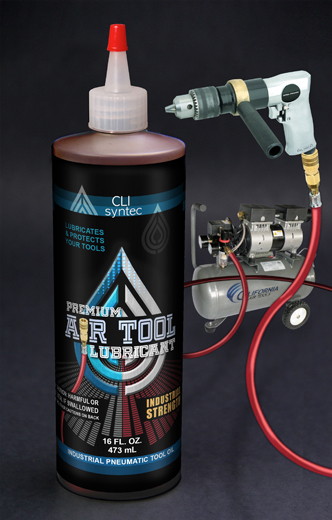 CLI syntec Air Tool Lubricant is an industrial strength oil specially designed for air powered tools, to provide optimum protection from damage and wear to all internal tool parts. Lubricates pistons, reducing excessive heat and friction. Reduces rust, varnish and sludge and removes harmful deposits. Preserves the elasticity and form of seals and O-rings, to maintain operating pressure and seal life. Directions: Apply 4-5 drops of pneumatic tool oil into the air inlet fitting daily, prior to connecting to air line. Lubricate O-rings by spreading lubricant on the O-rings with your finger. If the tool is to be used all day, repeat the process at the halfway mark. If your compressor is fitted with an in-line air lubricator, check / maintain required level in in-line lubricator reservoir. For Best Results: Connect tool to air source, run for about 20 sec. while covering the exhaust end with a towel. In addition, lubricate the air tool before storage. 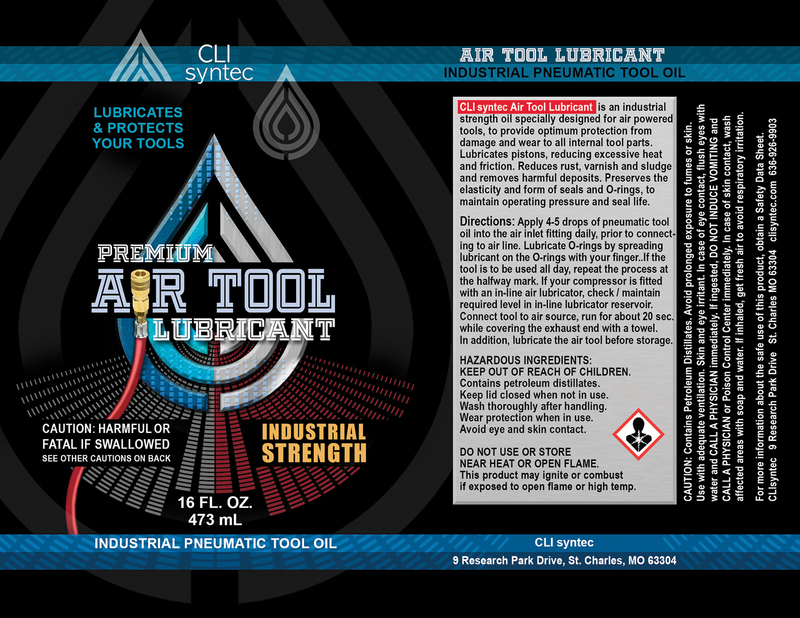 Copyright © 2013 Consultant Lubricants, Inc. All Rights Reserved.